Greer, Allan. "Jean de Lauson". The Canadian Encyclopedia, 20 January 2015, Historica Canada. 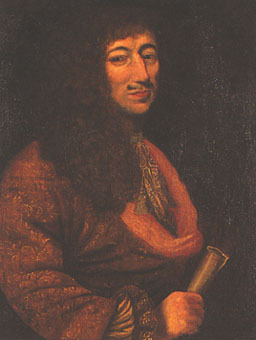 https://www.thecanadianencyclopedia.ca/en/article/jean-de-lauson. Accessed 22 April 2019. Jean de Lauson, governor of New France 1651-56 (b c 1584; d at Paris, France 16 Feb 1666). Long before coming to the colony as governor, Lauson had enjoyed a close and lucrative connection with Canada. Jean de Lauson, governor of New France 1651-56 (b c 1584; d at Paris, France 16 Feb 1666). Long before coming to the colony as governor, Lauson had enjoyed a close and lucrative connection with Canada. As intendant of the Compagnie des Cent-Associés since 1627, he had accumulated vast estates in the St Lawrence. As governor, Lauson used his authority to enrich himself and his family. In 1654, a time of declining prosperity, he gave himself a virtual monopoly in the fur trade, and 2 years later he seized pelts worth 300 000 livres from Des Groseilliers.